Even the most advanced global manufacturers are struggling with their Digital Transformation efforts. What projects offer the biggest impact? Which plants or lines should they choose? How do they get pilots to scale? 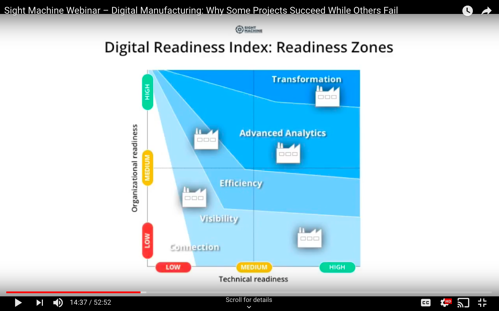 In this webinar, Dr. Saikat Chaudhuri, of the Wharton School of Business, and Jon Sobel, Sight Machine CEO, discuss common pitfalls for digital manufacturing efforts.